For the first time ever, astronomers have discovered seven Earth-size planets orbiting a nearby star — and these new worlds could hold life. Scientists said they need to study the atmospheres before determining whether these rocky, terrestrial planets could support some sort of life. But it already shows just how many Earth-size planets could be out there — especially in a star's sweet spot, ripe for extraterrestrial life. The takeaway from all this is, "we've made a crucial step toward finding if there is life out there," said the University of Cambridge's Amaury Triaud, one of the researchers. The potential for more Earth-size planets in our Milky Way galaxy is mind-boggling. "There are 200 billion stars in our galaxy," said co-author Emmanuel Jehin of the University of Liege. So do an account. You multiply this by 10, and you have the number of Earth-size planets in the galaxy — which is a lot." 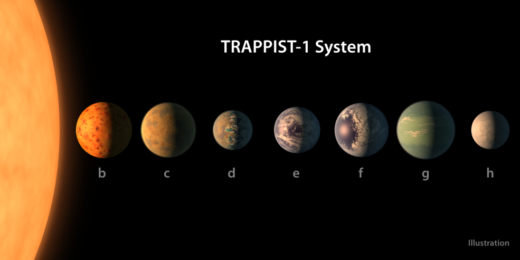 Last spring, the University of Liege's Michael Gillon and his team reported finding three planets around Trappist-1. Now the count is up to seven, and Gillon said there could be more. Their latest findings appear in the journal Nature. Picture this: If Trappist-1 were our sun, all seven planets would be inside Mercury's orbit. Mercury is the innermost planet of our own solar system. "The spectacle would be beautiful because every now and then, you would see another planet, maybe about as big as twice the moon in the sky, depending on which planet you're on and which planet you look at," Triaud said Tuesday in a teleconference with reporters. The Leiden Observatory's Ignas Snellen, who was not involved in the study, is excited by the prospect of learning more about what he calls "the seven sisters of planet Earth." In a companion article in Nature, he said Gillon's team could have been lucky in nabbing so many terrestrial planets in one stellar swoop. 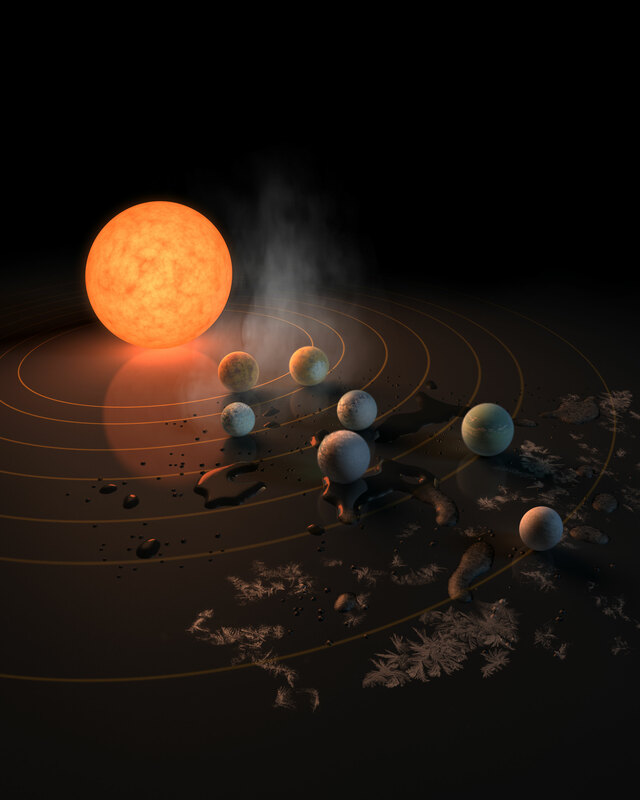 "But finding seven transiting Earth-sized planets in such a small sample suggests that the solar system with its four (sub-) Earth-sized planets might be nothing out of the ordinary," Snellen wrote. Gillon and his team used both ground and space telescopes to identify and track the planets, which they label simply by lowercase letters, "b'' through "h." As is typical in these cases, the letter "A'' — in upper case — is reserved for the star. Planets cast shadows on their star as they pass in front of it; that's how the scientists spotted them. "Here, if life managed to thrive and releases gases similar to that that we have on Earth, then we will know," Triaud said. Chemical analyses should indicate life with perhaps 99 percent confidence, Gillon noted. But he added: "We will never be completely sure" without going there.